One hundred and fifty years ago, the first dinosaurs were cloned. Soon after, they replaced humans at the top of the food chain. The only way to survive was to move into underground compounds.... Five years ago, Sky Mundy's father vanished from North Compound without a trace. 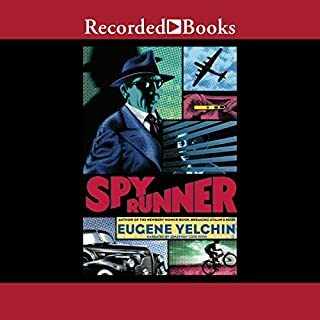 Now she has just stumbled on a clue that not only suggests his disappearance is just the tip of an even larger mystery but also points directly to the surface. 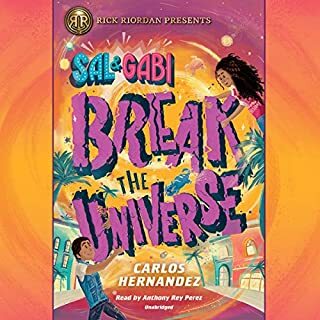 To find her dad - and possibly even save the world - Sky and her best friend, Shawn, must break out of their underground home and venture topside. It's 1953, and the Cold War is on. Communism threatens all that the United States stands for, and America needs every patriot to do their part. So when a Russian boarder moves into the home of 12-year-old Jake McCauley, he's on high alert. What does the mysterious Mr. Shubin do with all that photography equipment? And why did he choose to live so close to the Air Force base? Jake's mother says that Mr. Shubin knew Jake's dad, who went missing in action during World War II. But Jake is skeptical and determined to discover the truth - no matter what he risks. Introverted Bicycle has lived most of her life at the Mostly Silent Monastery in Washington, D.C. 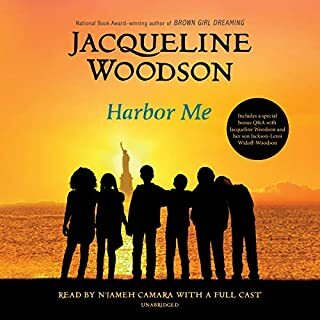 When her guardian, Sister Wanda, announces that Bicycle is going to attend a camp where she will learn to make friends, Bicycle says no way and sets off on her bike for San Francisco to meet her idol, a famous cyclist, certain he will be her first true friend. 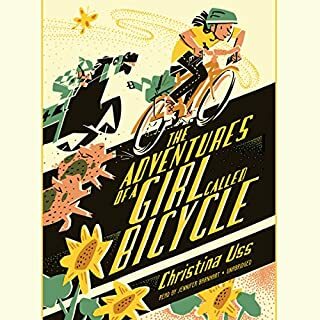 Who knew that a ghost would haunt her handlebars and that she would have to contend with bike-hating dogs, a bike-loving horse, bike-crushing pigs, and a mysterious lady dressed in black. 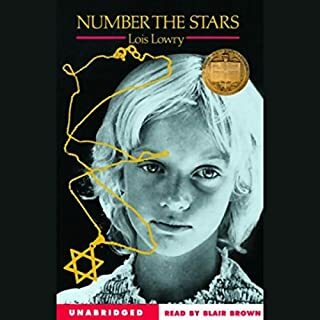 The fifth and final book in the groundbreaking Joey Pigza series brings the beloved chronicle of this wired, wacky, and wonderful boy to a crescendo of chaos and craziness, as everything goes topsy-turvy for Joey just as he starts to get his feet on the ground. 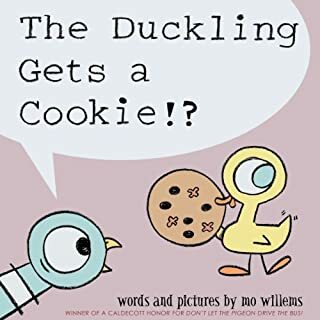 In the fifth volume in the New York Times best-selling Pigeon series by Mo Willems, Duckling asks for a cookie - and gets one! Do you think Pigeon is happy about that? Ramona Quimby is thrilled to be starting kindergarten. She likes a little boy named Davy so much she wants to kiss him, and she loves Susan's beautiful curls so much she wants to pull them to see them boing. Her teacher even promises her a present just for sitting still! So how does Ramona get in trouble? 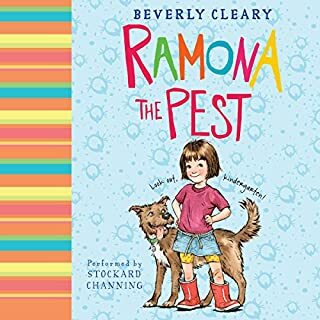 Well, anyone who knows Ramona knows that she is never a pest on purpose. 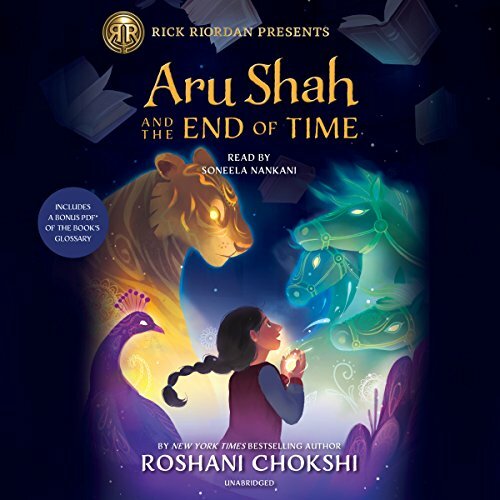 Best-selling author Rick Riordan introduces this adventure by Roshani Chokshi about 12-year-old Aru Shah, who has a tendency to stretch the truth in order to fit in at school. While her classmates are jetting off to family vacations in exotic locales, she'll be spending her autumn break at home, in the Museum of Ancient Indian Art and Culture, waiting for her mom to return from her latest archeological trip. Is it any wonder that Aru makes up stories about being royalty, traveling to Paris, and having a chauffeur? Includes a bonus PDF of the book's glossary. My girls loved Aru and all her adventures. They loved her personality (sassy) and her bravery. 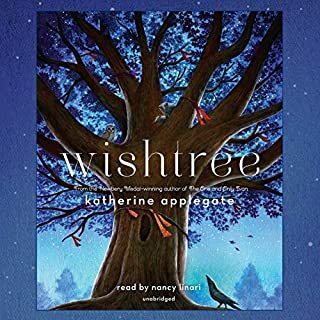 I would recommend this to anyone with daughters looking for vulnerable yet strong girl characters. A fascinating tale of magic and heroism! Oh the adventure, the humor and the suspense! 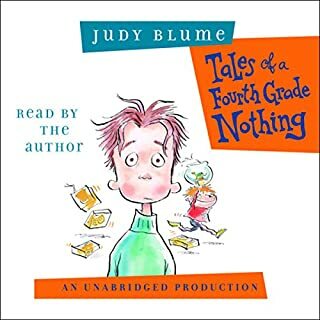 Our entire family really enjoyed this book! The characters are written and narrated so well that they became alive for us. We are anxiously waiting for the next book! The main character feels very relatable and realistic. The supporting cast is engaging and charismatic. It's got good pacing and strong, positive messages. Definitely a story worth sharing with kids. 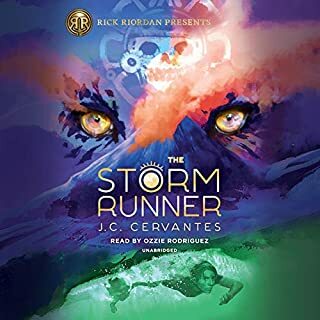 Really good,I liked Aru and boo was quite funny I can't wait for the next book!!!!!!!!!!!!!!!!!!!!! She is just plain genius! Old stories told in different light with a 21st century flair and a modern feministic twist. There's humor when you don't expect it. It's fantasy at its best. And just super fun to read. I love this !!!! I love all the mythology.it’s so interesting!and I love 💗 How complex the story is!😁I don’t really use emojis but with this one I have to! 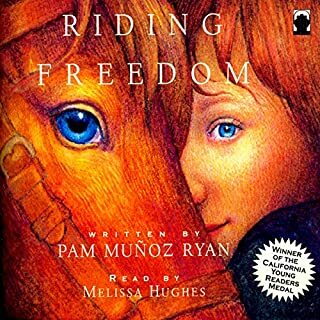 I purchased this book for my 5-year-old daughter because of the review that said it is a good book for strong girls. I'm so glad I did! 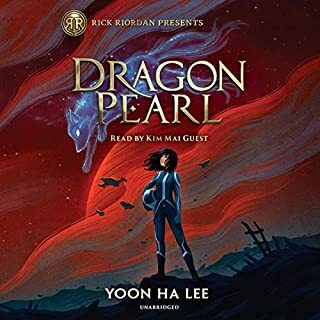 What a wonderfully complex, rich, and captivating story that bridges cultures and worlds in the realm of fantasy and reality. There are no good and bad characters - just characters with strengths and weaknesses, who are all at different places in relation to their own evolution. My 5y listened to this the whole way through and, when it was done, immediately started listening to it again. We turn it on for her and she just goes into her own world, making art, playing, and intently engaging with the story. I cannot interrupt it to say anything to her without pressing pause or she is livid! This story, through the artistry of the novelist and the performance of the storyteller, is alive for her. And I like it, too! I have found myself referring back to tidbits from the story, and sharing them with my husband as personal teachings in ethics and values throughout the week. 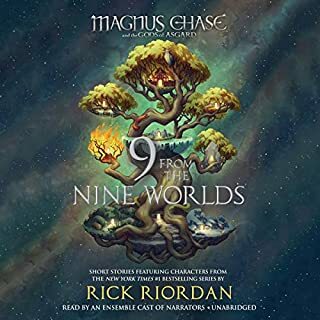 Can't wait for the next in this series!! I loved this so much. 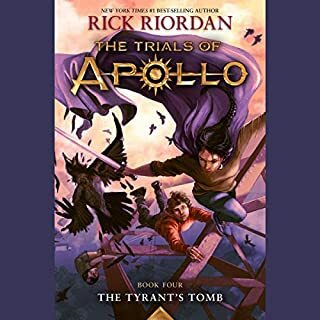 If it is almost the same as Percy Jackson in some ways but wholly original in others. I can’t wait for the other books. 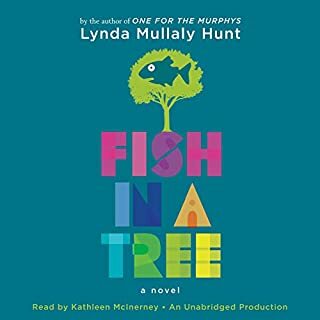 Great adventure story for everyone in the family! We bought this story for a family road trip. The kids did't want to stop and were looking for excuses to drive somewhere. It is a little long, but never drags. There is plenty of intrigue, new characters, and action. 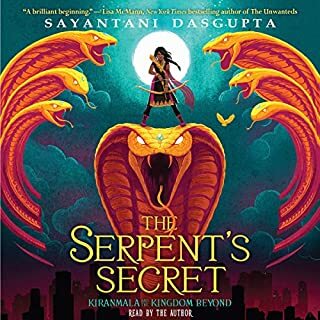 Aside from just being a good story I found the introduction into Hindu mythology to be very interesting. And aside from benefits of a wonderful performance, knowing how to properly (I hope) pronounce the names and titles is an advantage to the audio version. 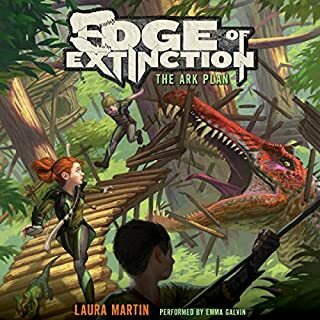 The kids keep asking for when the next book in the series will be available and I don't mind looking for it.